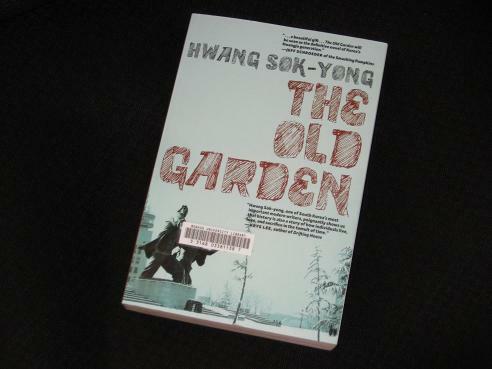 The Old Garden (translated by Jay Oh, published by Seven Stories Press) begins in the late nineties as Oh Hyun Woo, a political dissident of the Kwangju era, is released from prison after serving eighteen years of his life sentence. After almost two decades locked away, freedom comes as a shock, as do the massive changes the outside world has undergone during that time (in the car on his way home from prison, he describes his nephew’s mobile phone as ‘a small object that looked like a transistor’). His first few days are spent adjusting to the wider spaces of free society, trying to come to terms with a form of post-traumatic stress disorder. Once he has recovered a little, Hyun Woo sets off on a journey to the country town of Kalmae, a place where he spent several months in hiding before his eventual arrest. The woman he spent that time with, painter Han Yoon Hee, passed away several years before his release from prison, but on his arrival at the old house, he discovers her diaries. Written over the space of fifteen years, the notebooks remind him of the time they spent together – and reveal some secrets he never suspected. The Old Garden is an excellent, expansive work, one in which Korea’s dirty laundry is aired in public. There are actually several strands to the novel, apart from the present day descriptions of Hyun Woo’s release and his subsequent attempts to adapt to modern life. One major focus is on Yoon Hee’s diaries, detailing her life after Hyun Woo’s arrest, and the choices she made during the hectic eighties; another is Hyun Woo’s memories of his time in prison, a grim description of life behind bars. There was blood everywhere on white snow, and all that remained were her feathers. The soft feathers were swept away by the wind and caught on the chain link fence nearby, where they fluttered as if they were still alive. The next day, and each day until the spring arrived, I continued to feed the pigeons twice a day, but I stopped naming them and singling any out. Attachment is vain. While the Kwangju massacre is prominent in most descriptions of the book (and it does come up several times), in fact, this is more of a post-Kwangju novel. The Old Garden is a story of how the crackdown fuelled a nationwide resistance movement, with news of the atrocities spreading slowly throughout the country. The government was forced to try to root out the instigators, and Hyun Woo, an active member of the movement, is forced to go on the run. Her work in spreading the stories allows these voices to be heard, but in doing so she is also honouring the memory of her partner, locked away by the same people responsible for the events of Kwangju. Interesting and multi-faceted, the novel makes good use of the various strands, switching between the different stories regularly without losing the overall sense of progression. In fact, the only place where the story started to drag a little was when Yoon Hee moved to Berlin towards the end of the book. The idea is understandable, with Hwang looking at the events of 1989 and the parallels with a divided Korea – what was seen with joy in most of the world was actually disappointing for those Koreans hoping for the success of socialism over capitalism. For Korean readers, this may have come across as exotic; for Western readers (or this one, at least), it simply detracted from the main story and its Korean focus. Good review (as always). I agree with you about the part of the story which takes place in Germany. I do not know how the korean readers reacted but as for myself, it did play with my reader’s patience. As a consequence it turns out that I found the movie adaptation of this novel (same title) more satisfying; it gives more details on the political background and does not cover the Germany’s part thus resulting in a more homogeneous story. Nevertheless, it is a book well worth reading. Space Cadet – Good to hear someone agrees as I thought I was being a little picky there 🙂 Up to that point, the sections alternated nicely, but this part dragged and took us away from Hyun Woo for too long.